Talking to VG247 while on the Devil May Cry 5 media tour, CAPCOM Game Director and Designer Hideaki Itsuno revealed that he could have chosen to make Dragon’s Dogma 2 instead. He also stated that Dragon’s Dogma remains his biggest success, while DMC5 was the hardest game he worked on so far. So, when the discussion came up for Devil May Cry 5, I went to Kenzo Tsujimoto, Capcom founder and I said… look, I want to make either Devil May Cry 5 or Dragon’s Dogma 2 next. He said ‘okay, do whatever you want. Do whichever one you want.’ So I thought, alright, y’know what… let’s do DMC5. So we did that. Here we are now finishing up DMC5. But I had ideas for Dragon’s Dogma 2 at the time as well. So here we are, it’s the end of this project. I’ve always got maybe around four different titles in mind, maybe about four different ideas that I’d love to make. But there’s a difference between the titles that I’d love to make and the titles that I think I should make next. But here we are, we’re here, and… I’m already gearing up for my next project. We can’t say what it is, but we’re looking forward to getting to work on it. Whenever I make a game, I make specifically what I want to play, what I’ve always wanted to play. Dragon’s Dogma is one of those things where ever since I was a kid this is the kind of experience I wanted from a game. I think about that and then I work towards creating that experience. 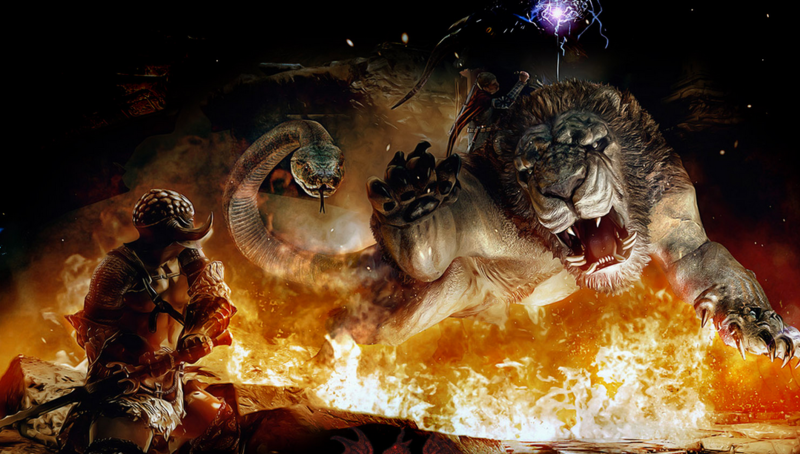 The one that was kind of the biggest success in my mind, the one I’m most proud of – that’s probably Dragon’s Dogma. The one that was the hardest to work on, that took the most effort – that’s this one. That’s DMC5. While we all wait for the next Dragon’s Dogma game (Dragon’s Dogma Online never made it to Western shores, sadly), Nintendo Switch users will be able to play the action RPG masterpiece on April 23rd.